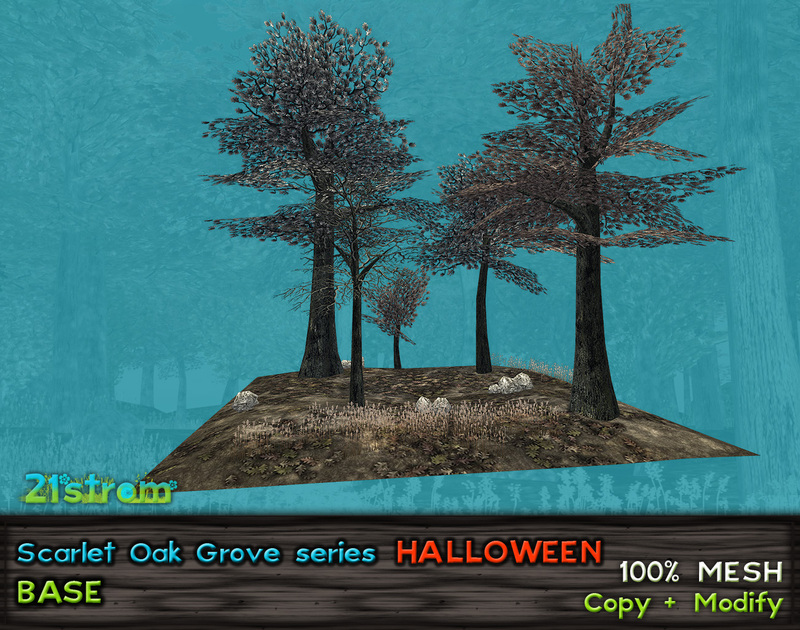 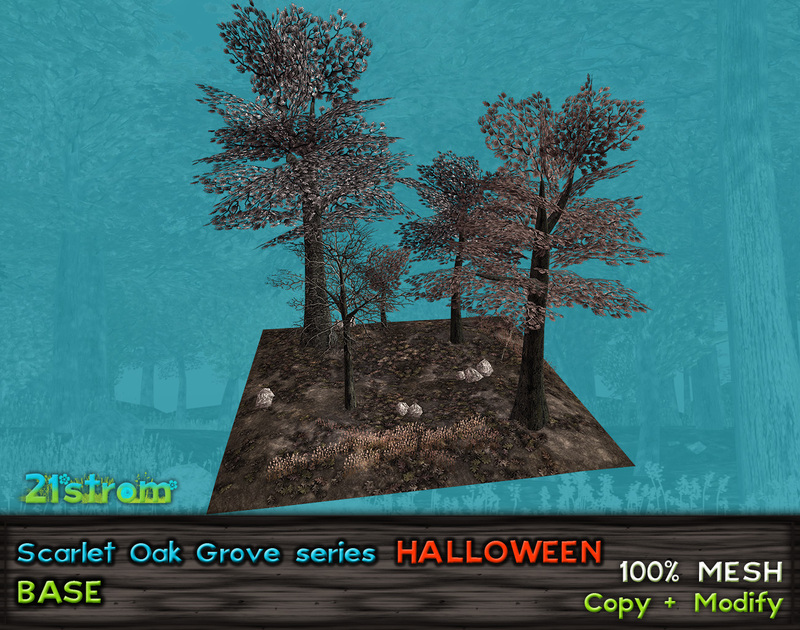 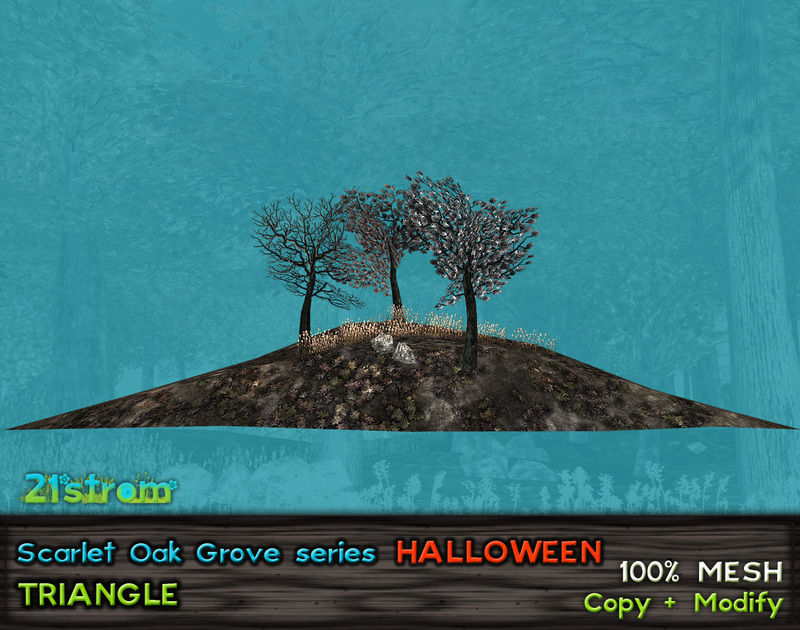 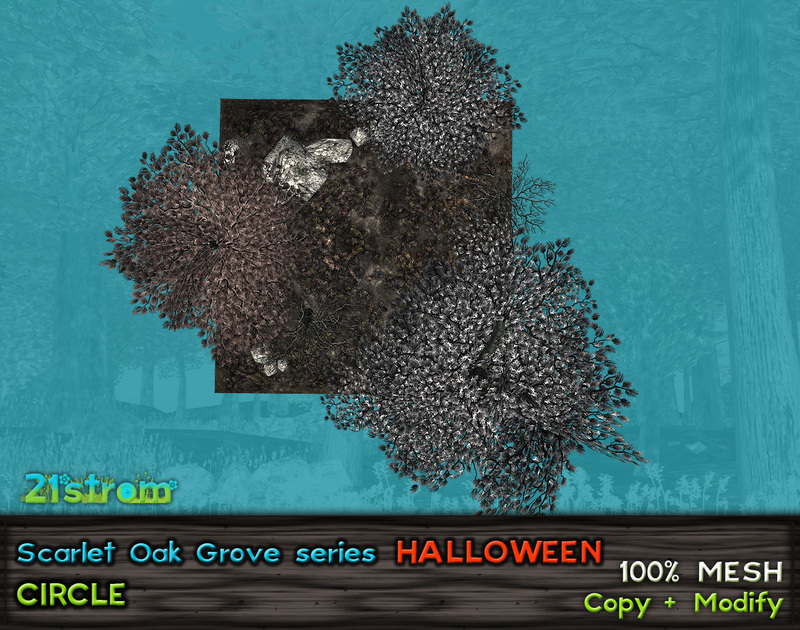 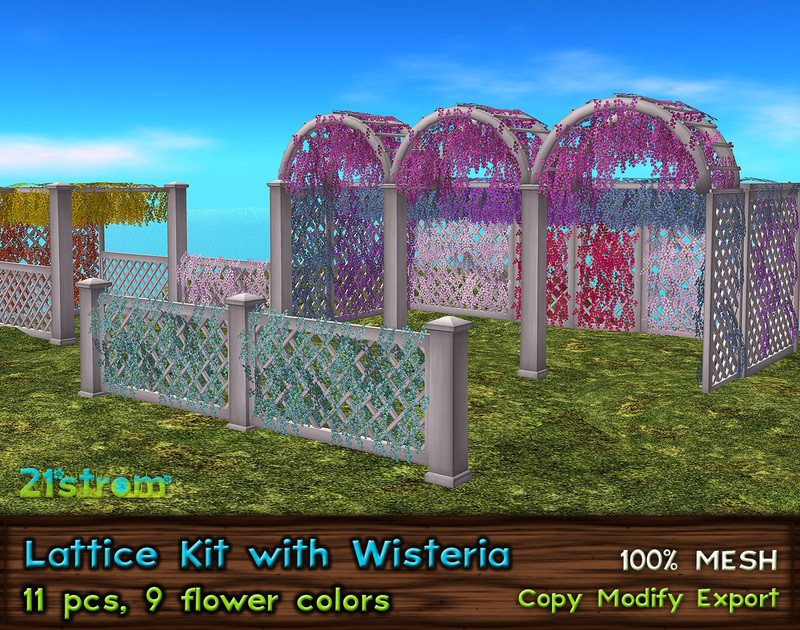 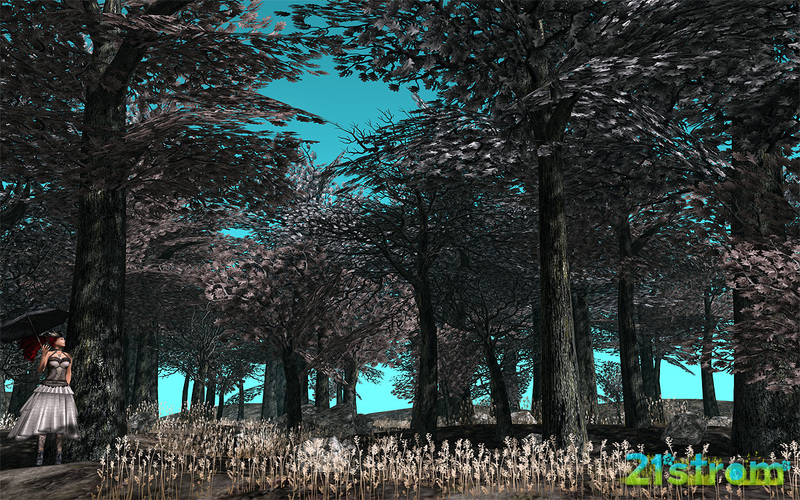 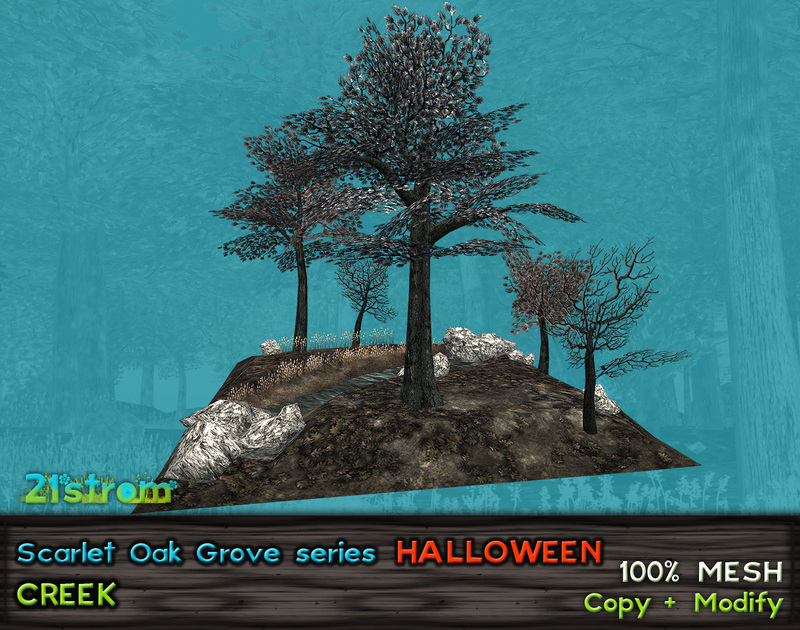 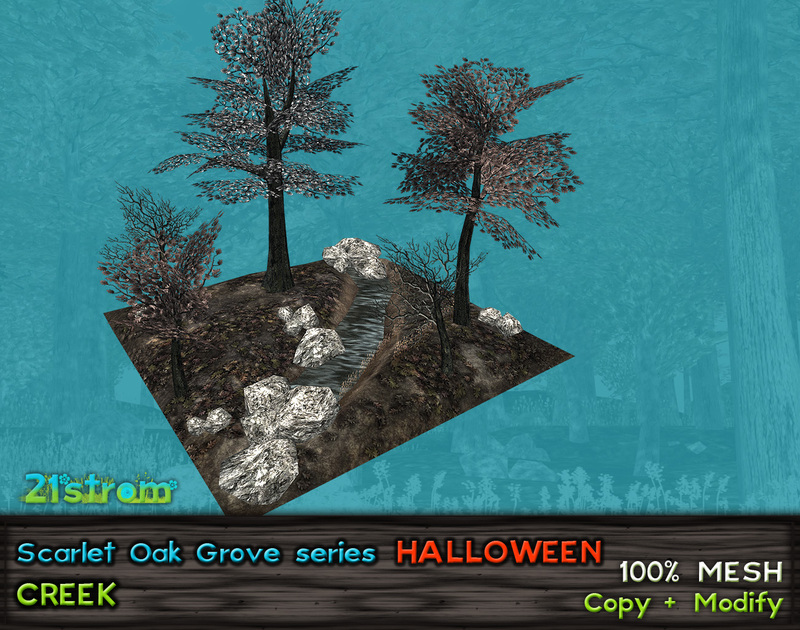 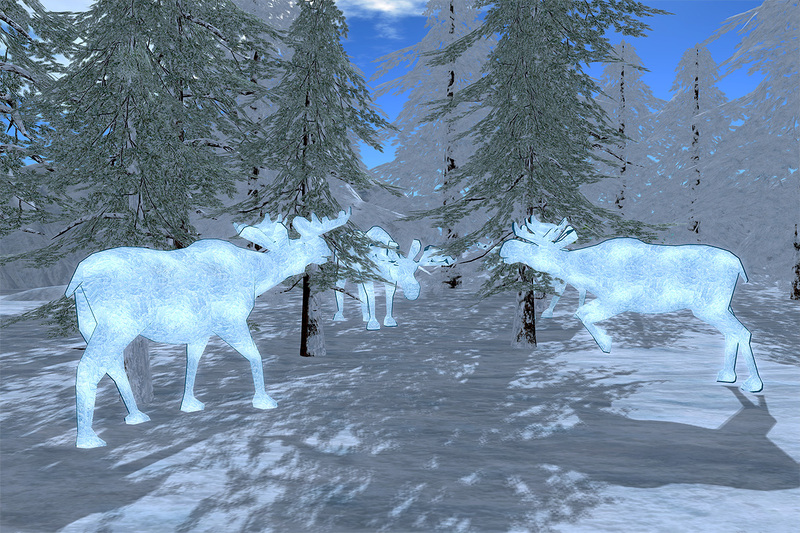 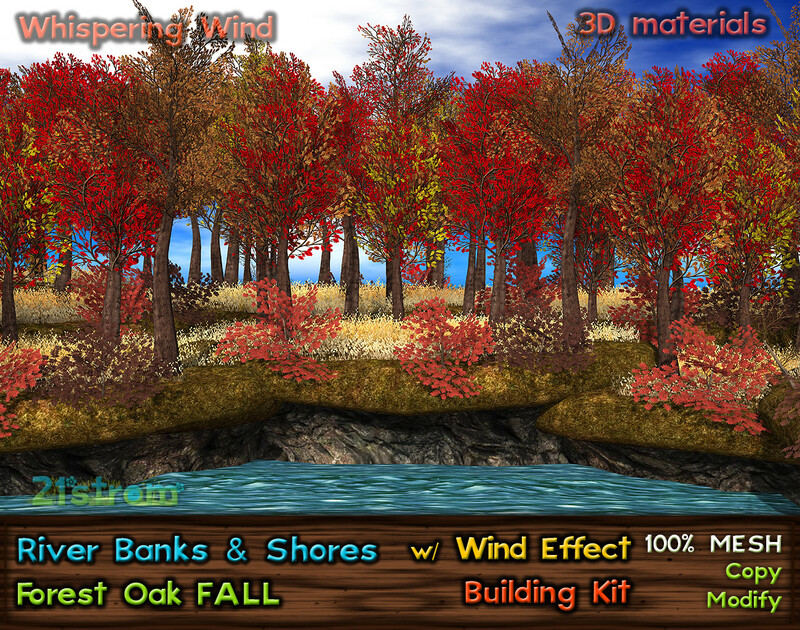 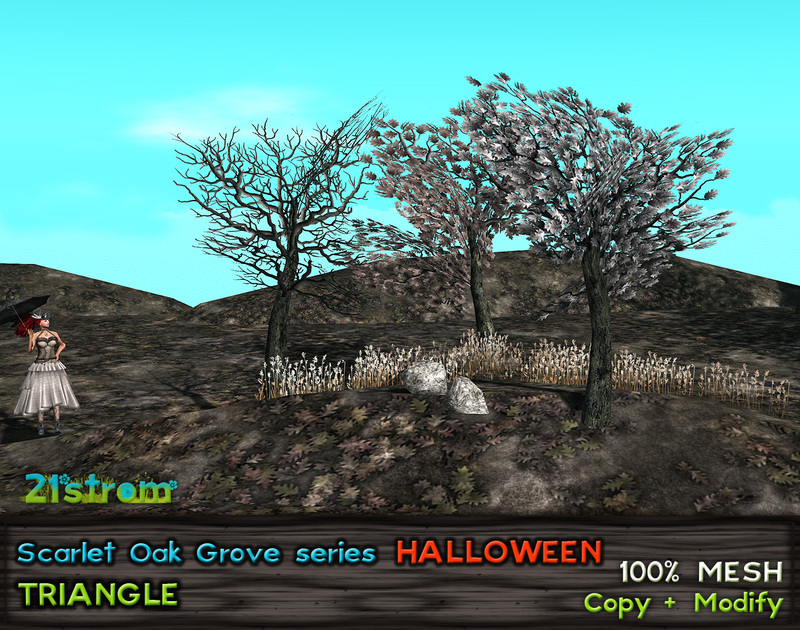 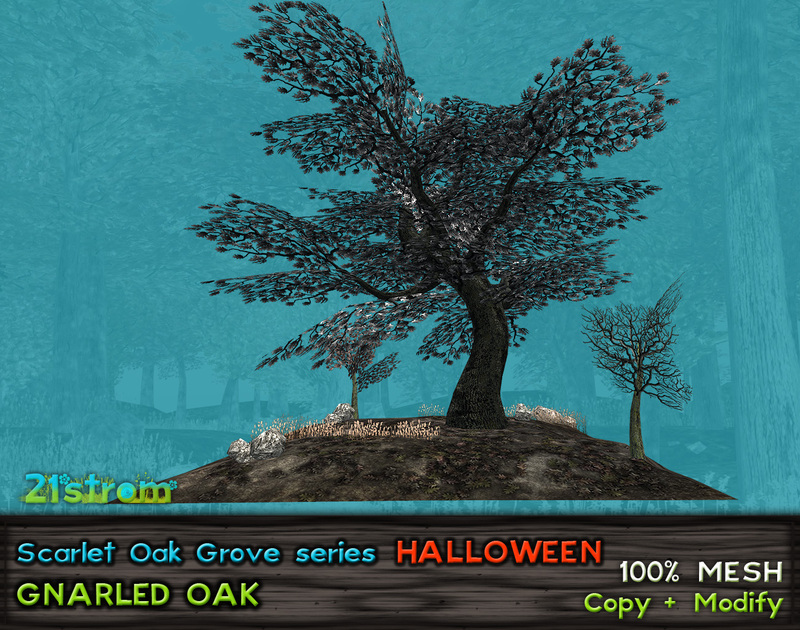 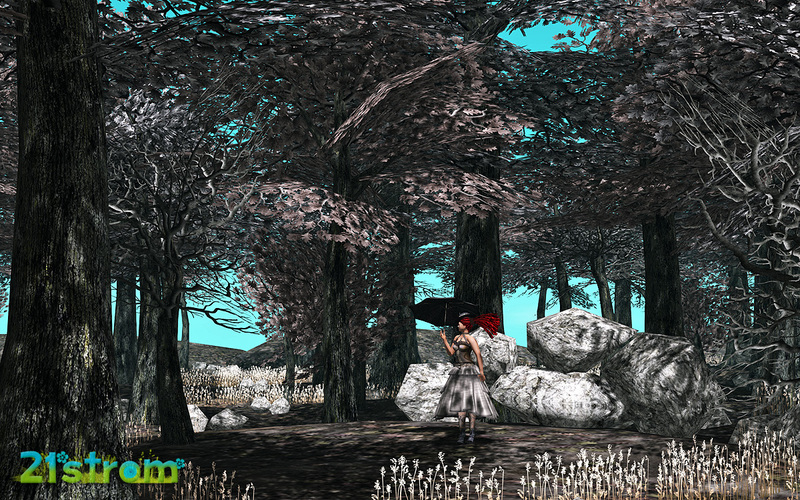 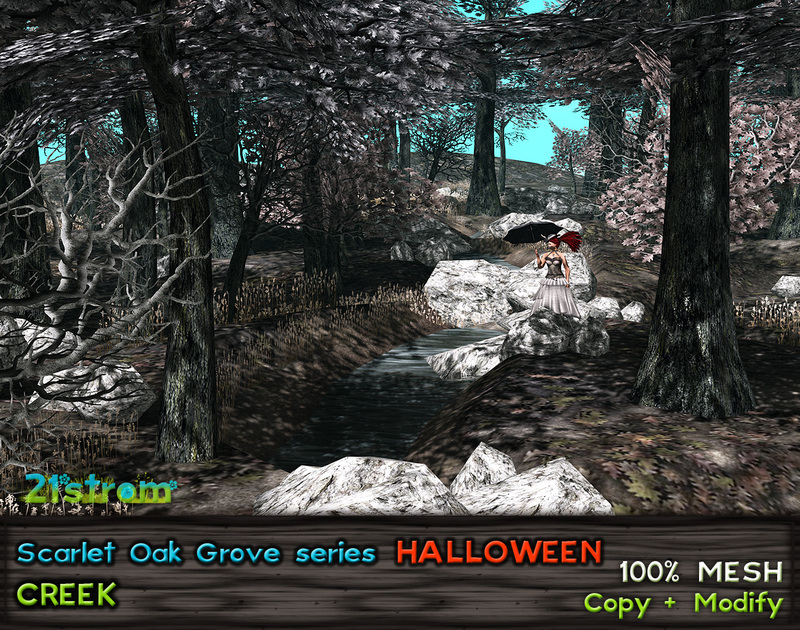 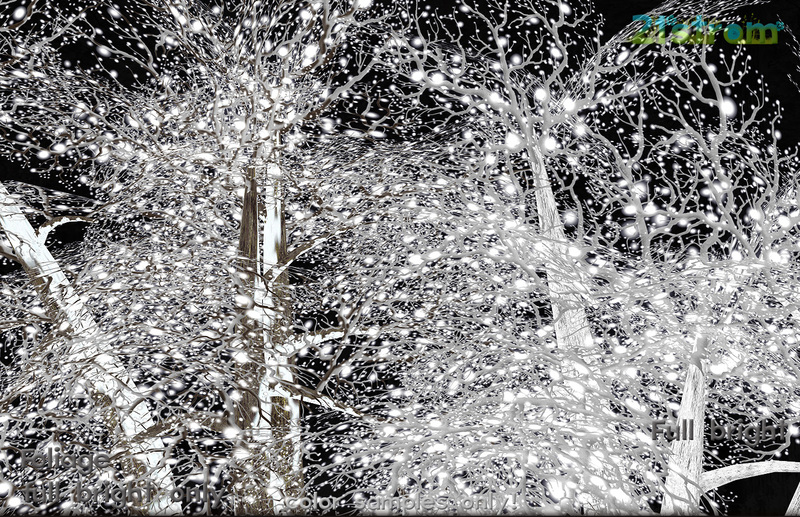 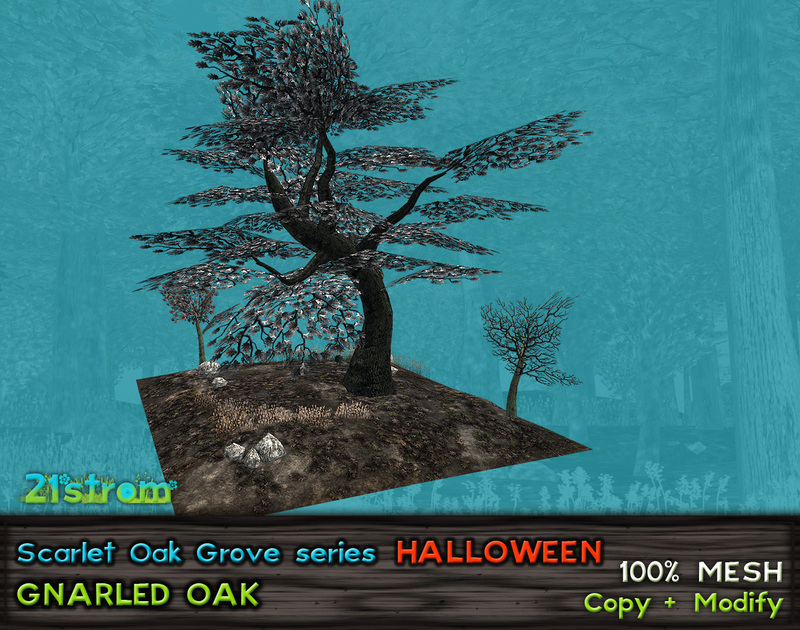 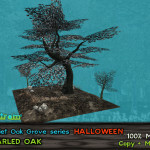 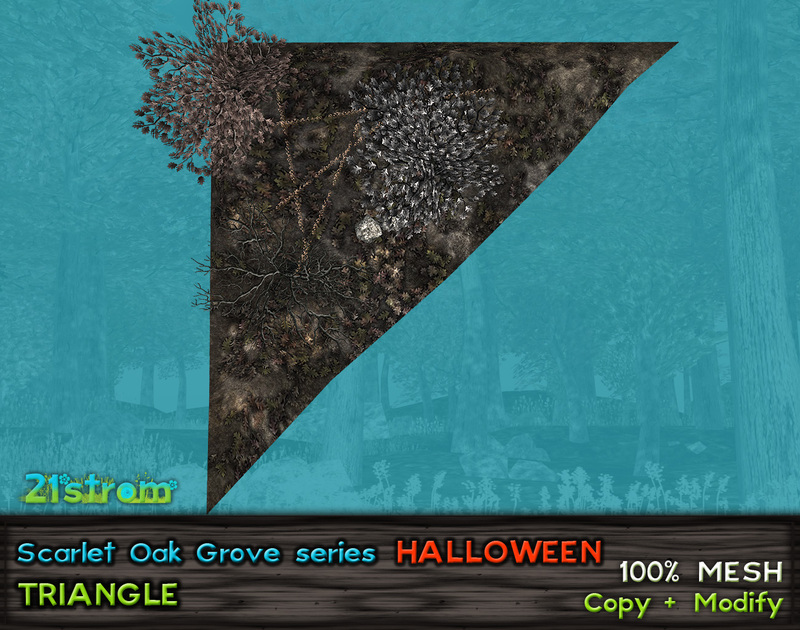 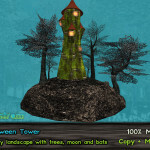 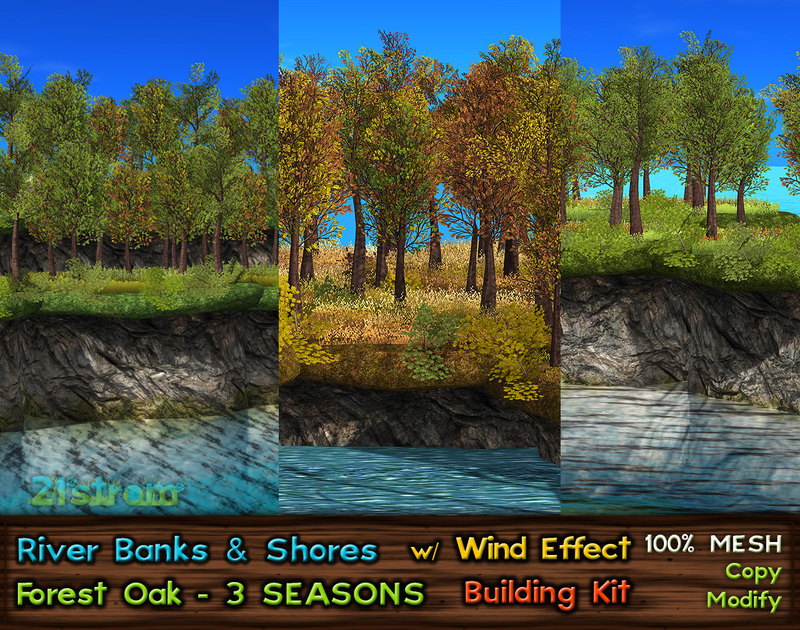 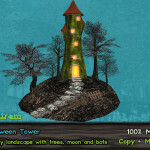 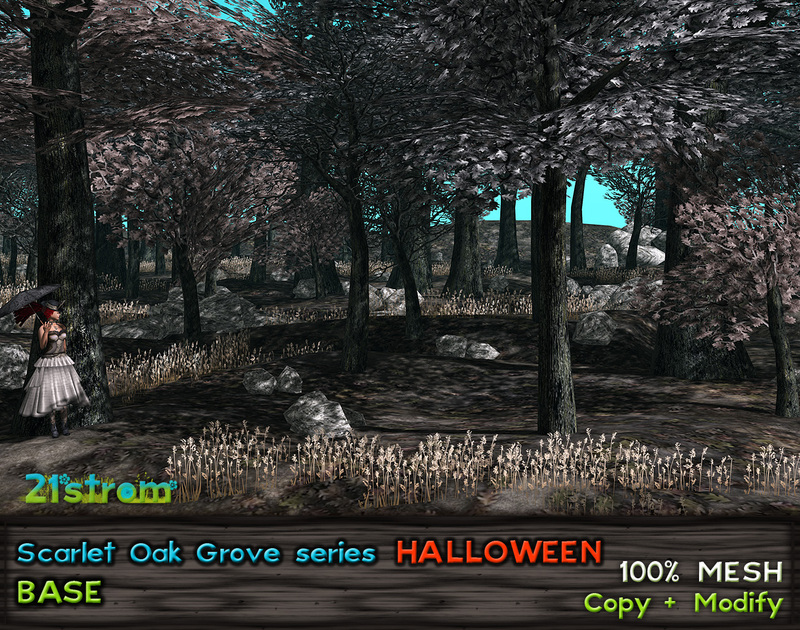 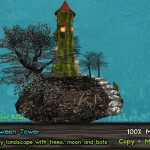 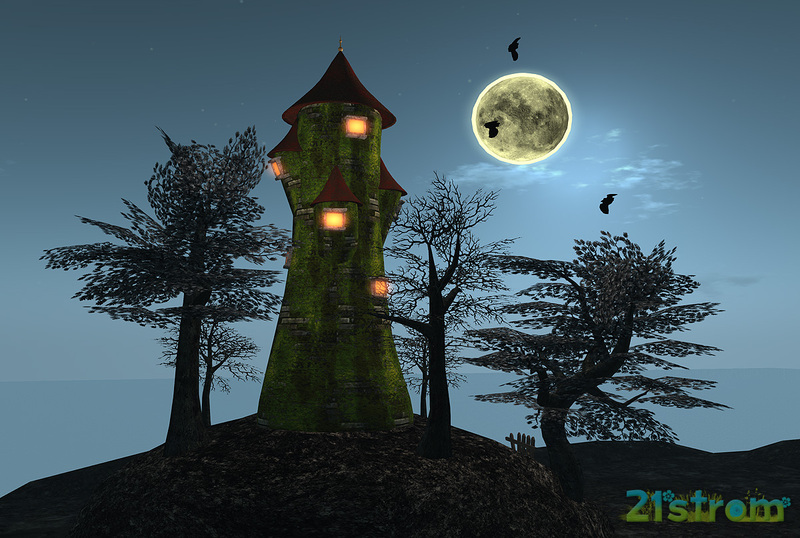 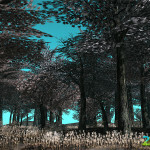 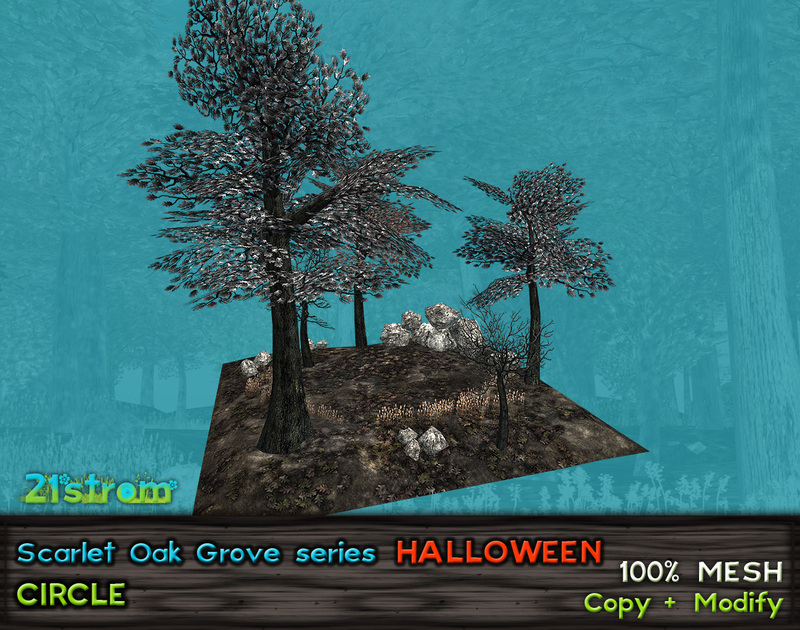 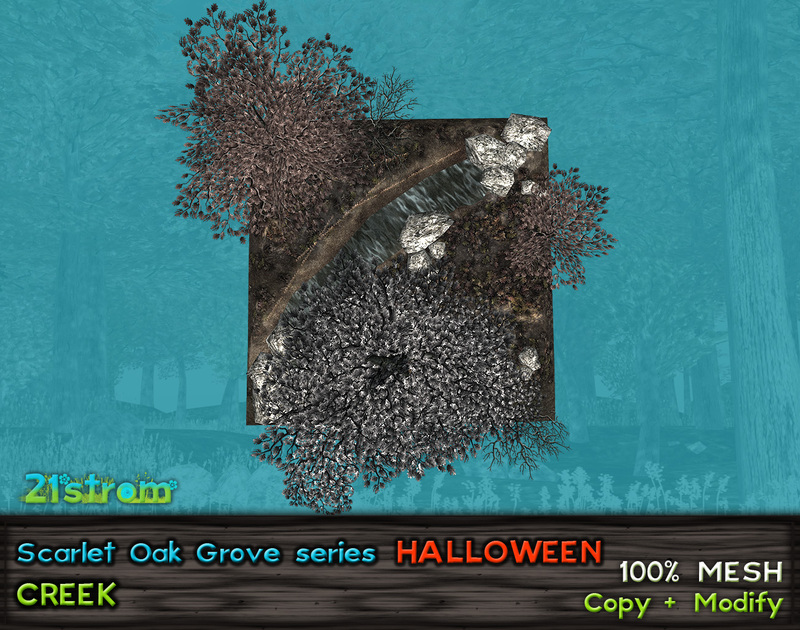 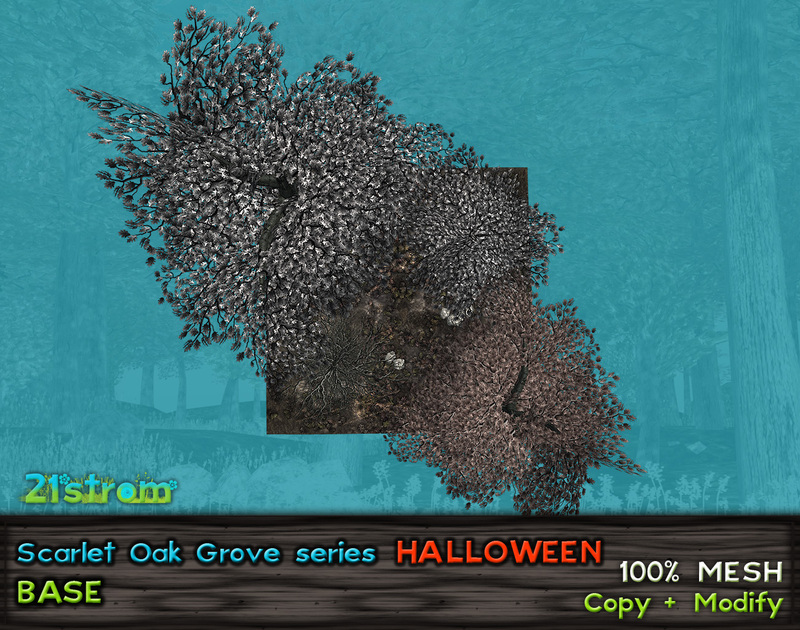 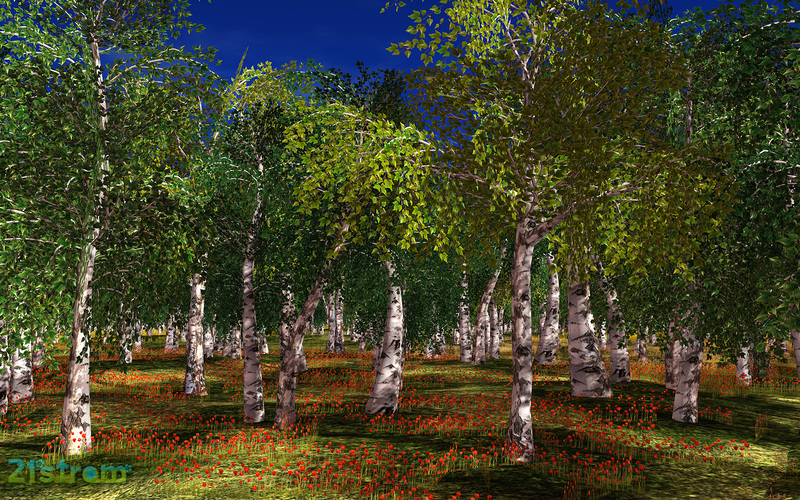 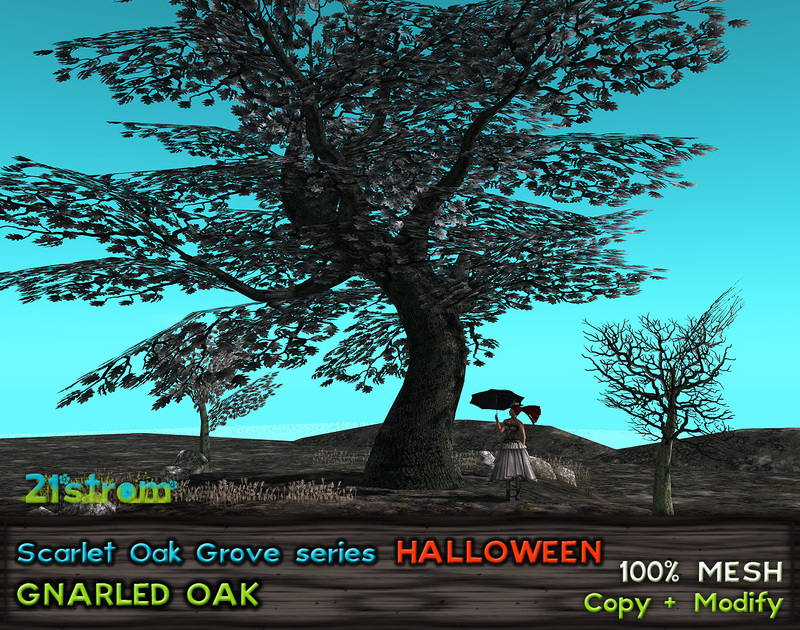 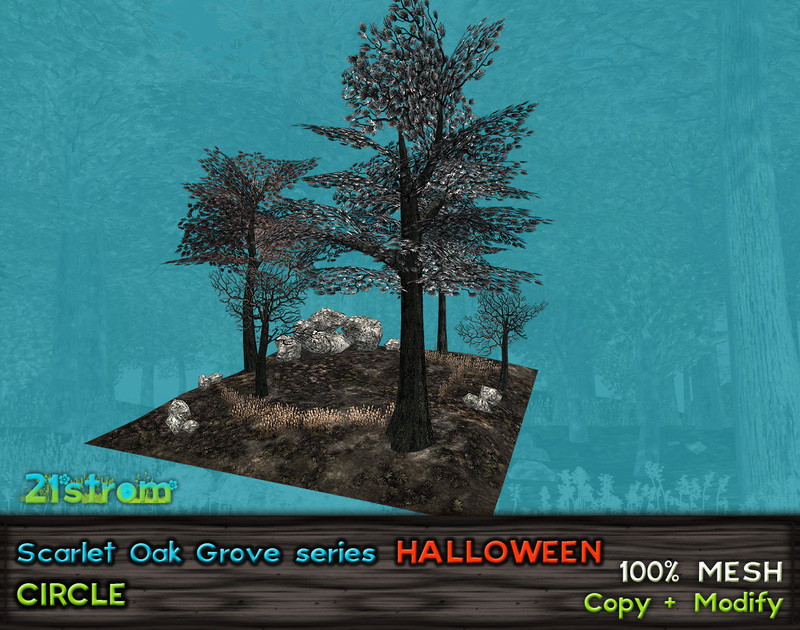 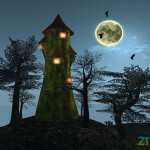 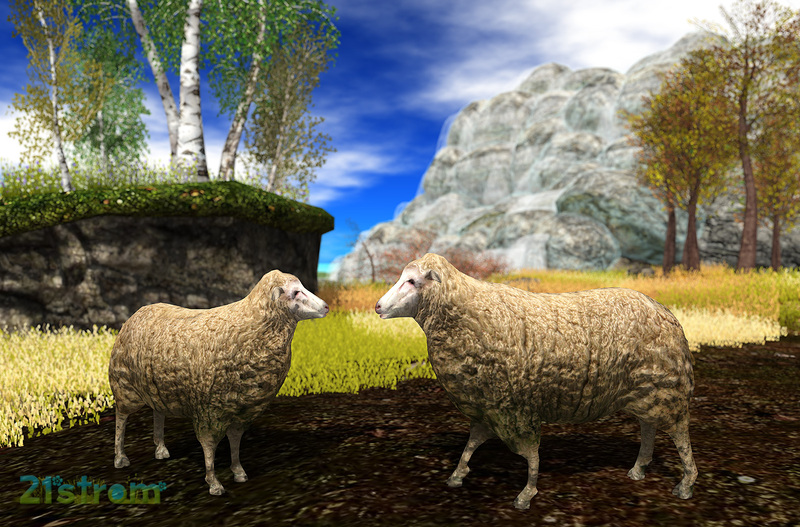 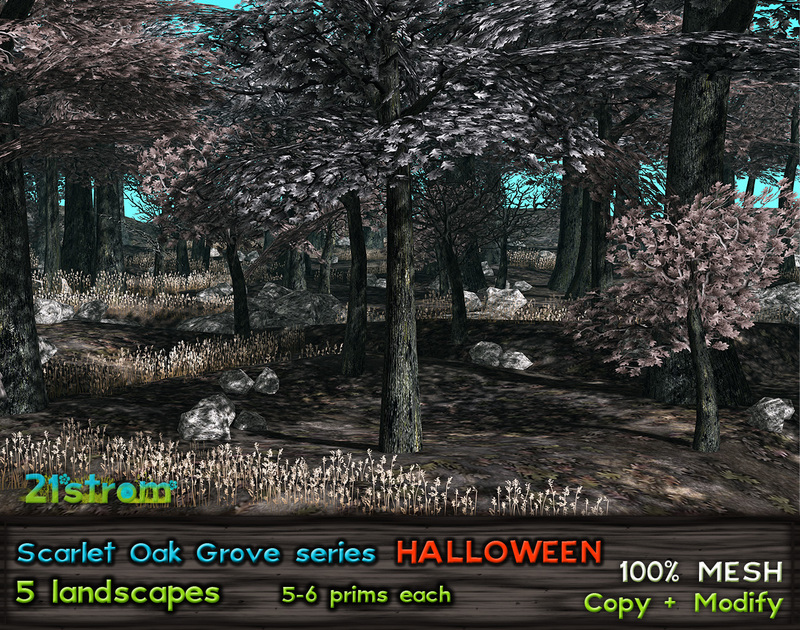 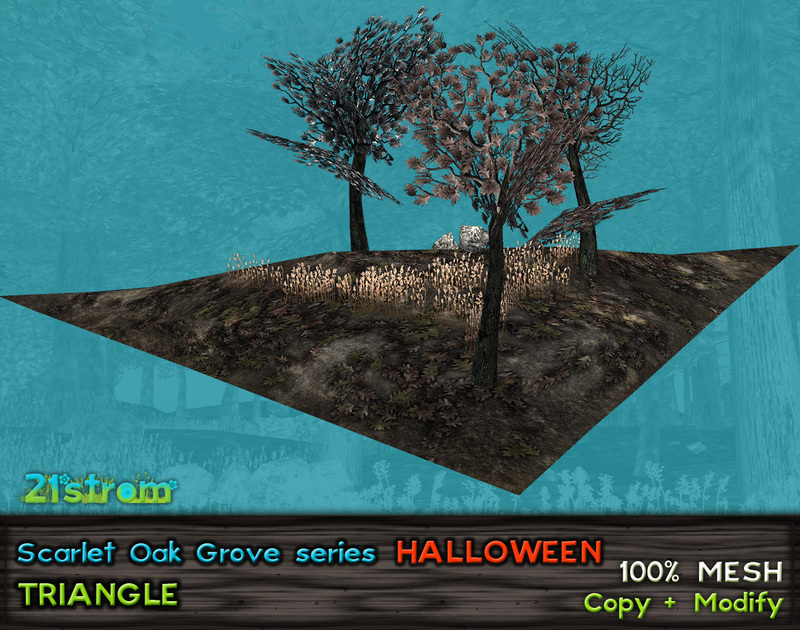 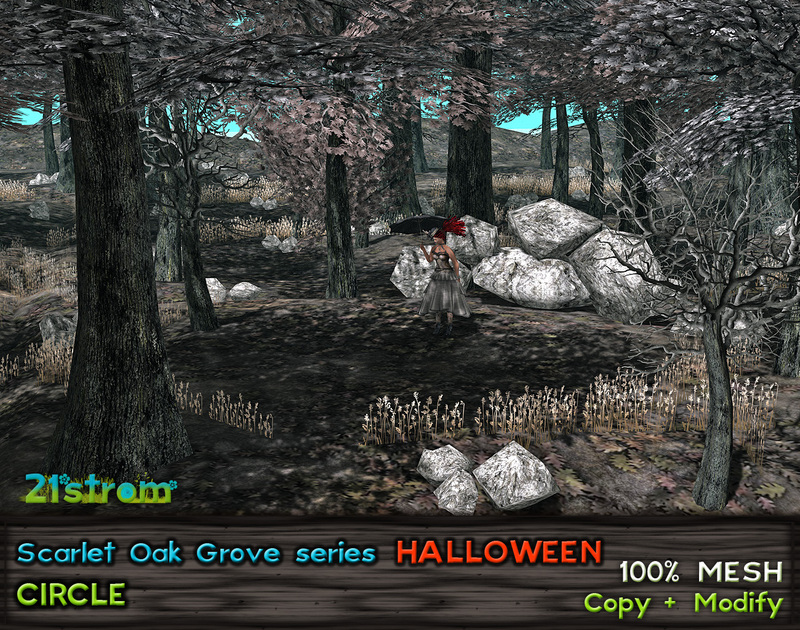 Special Halloween set of Scarlet Oak Landscapes is available inworld and at the market – 5 mesh landscapes of previous Scarlet Oak Series in Halloween “season”. 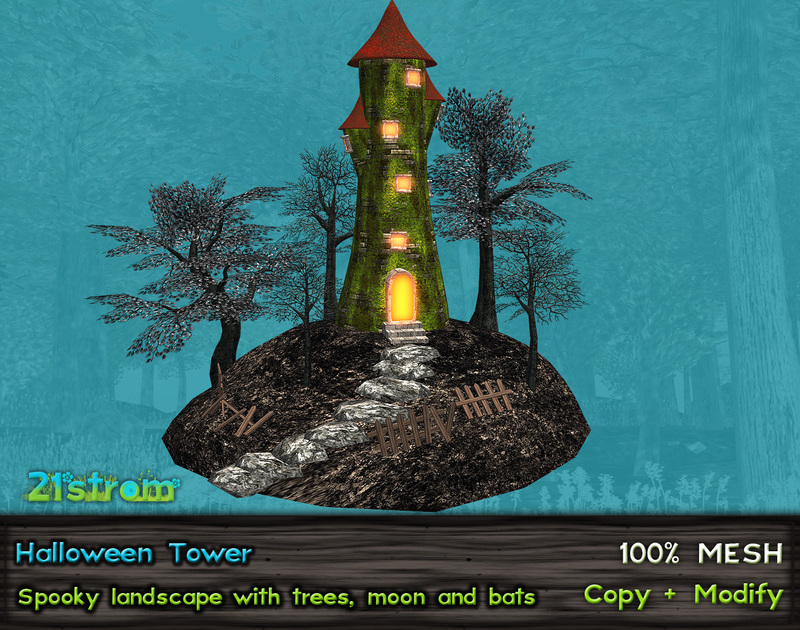 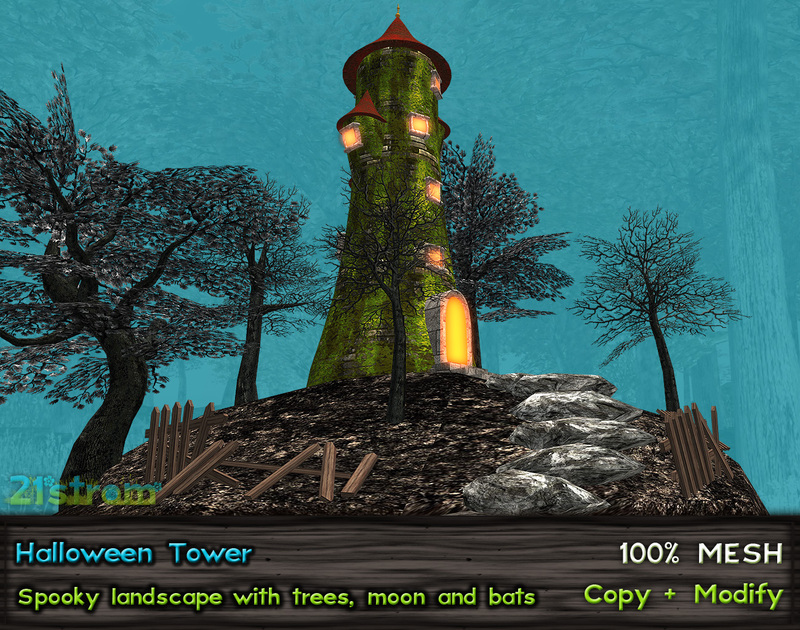 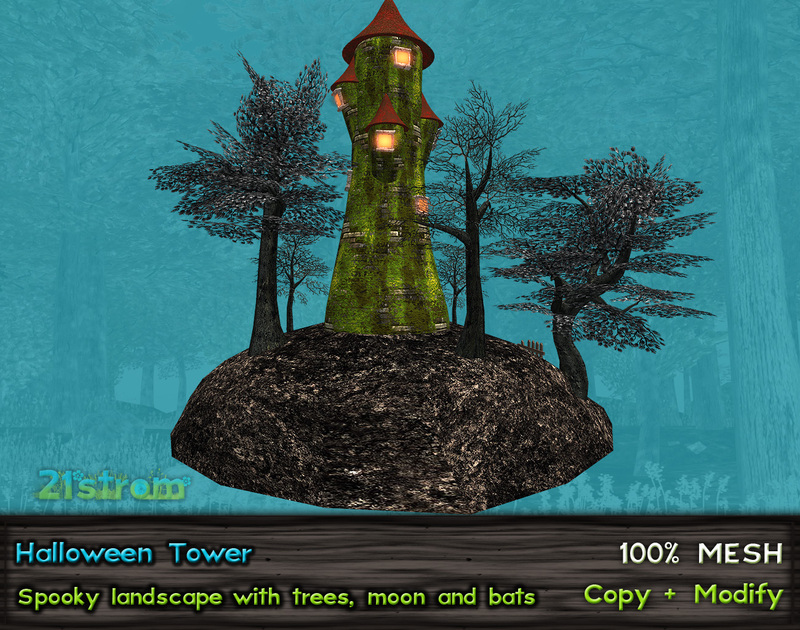 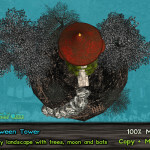 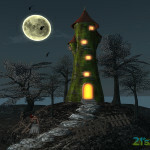 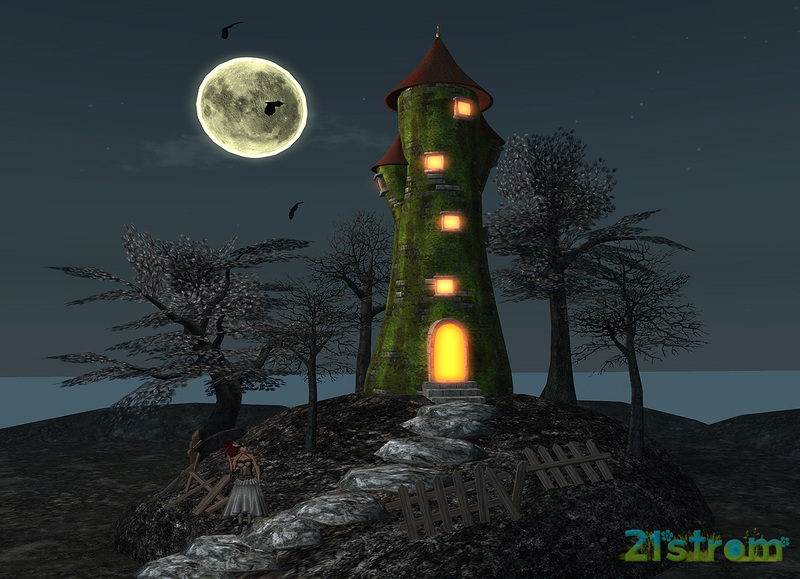 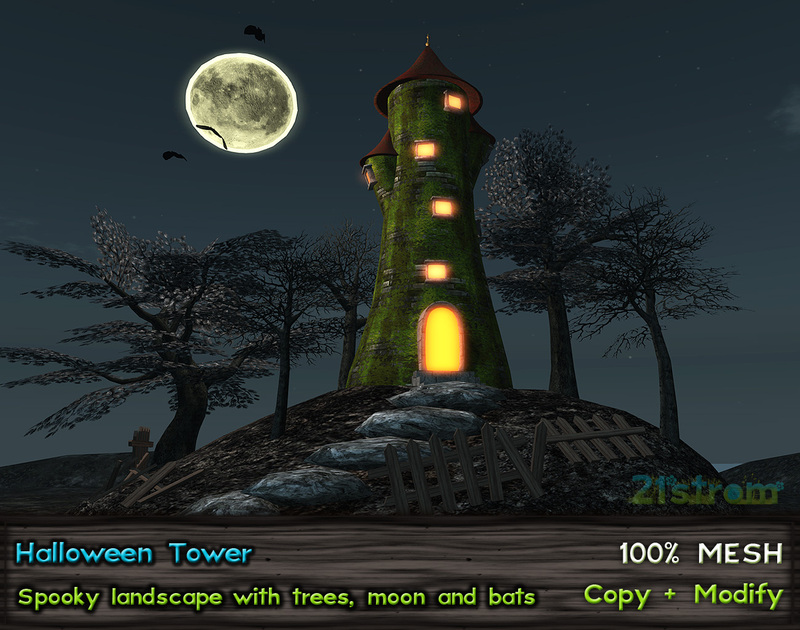 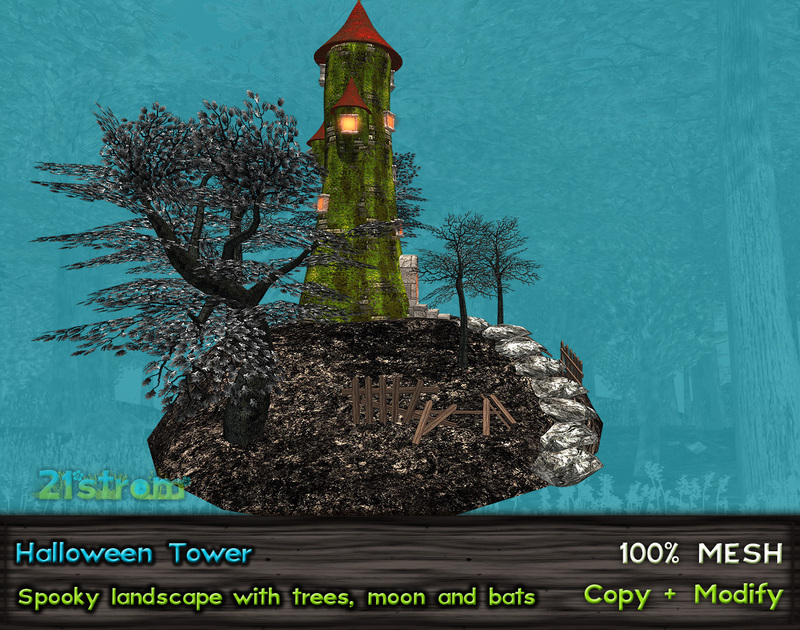 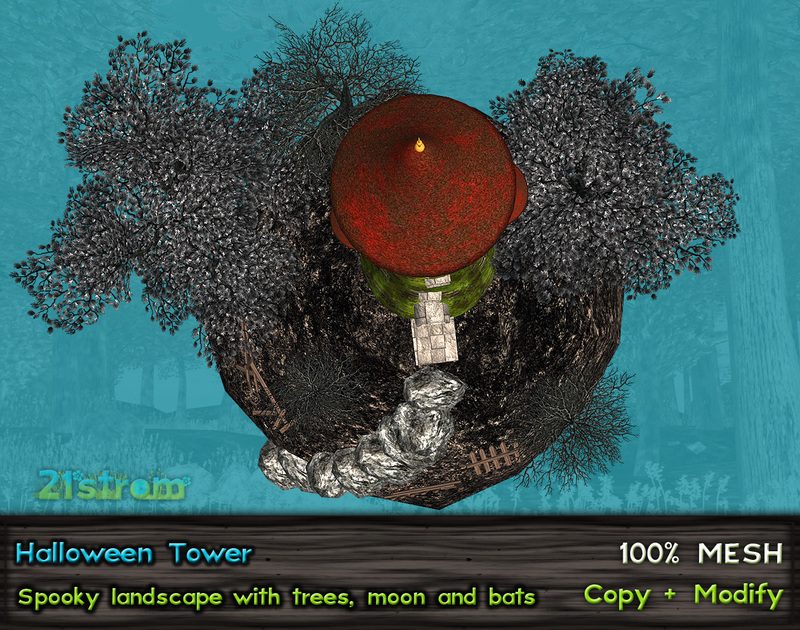 Single landscape with spooky tower, moon, flying bats and scarlet oak trees is very new at 21strom. 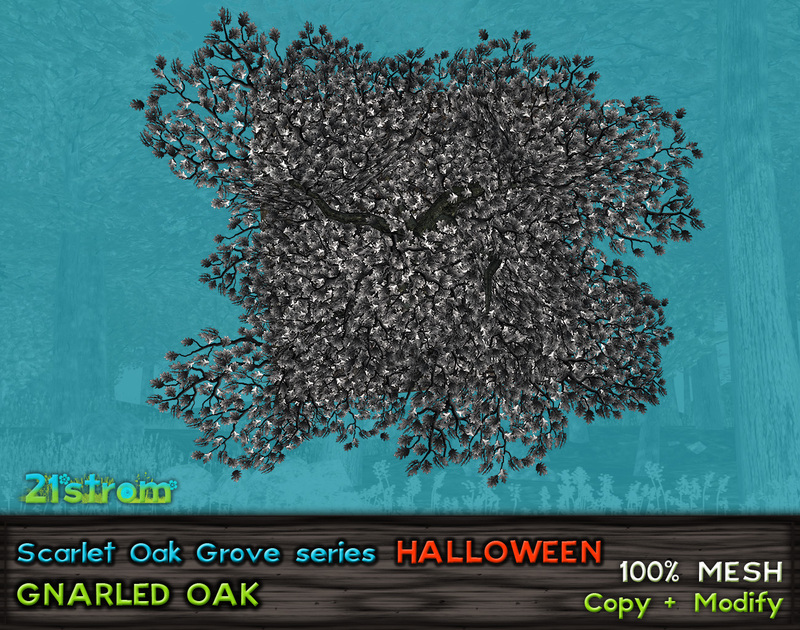 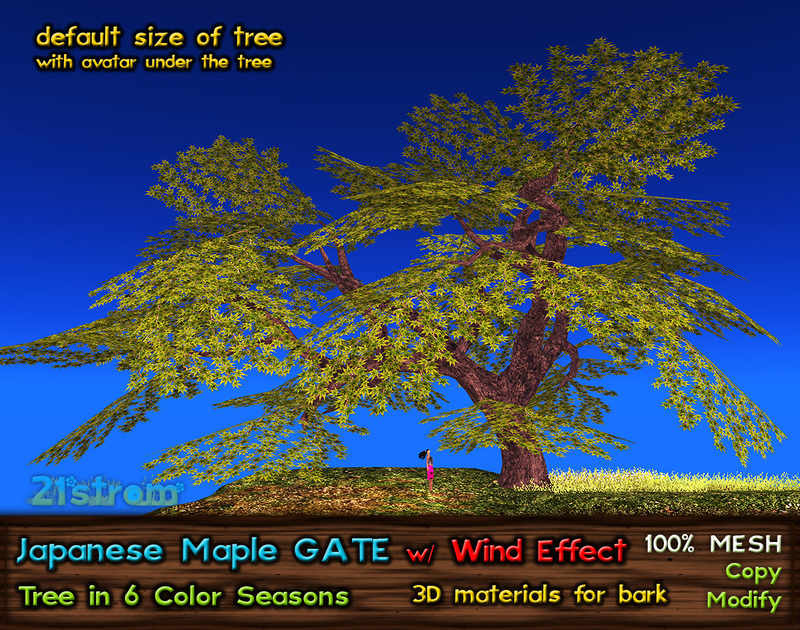 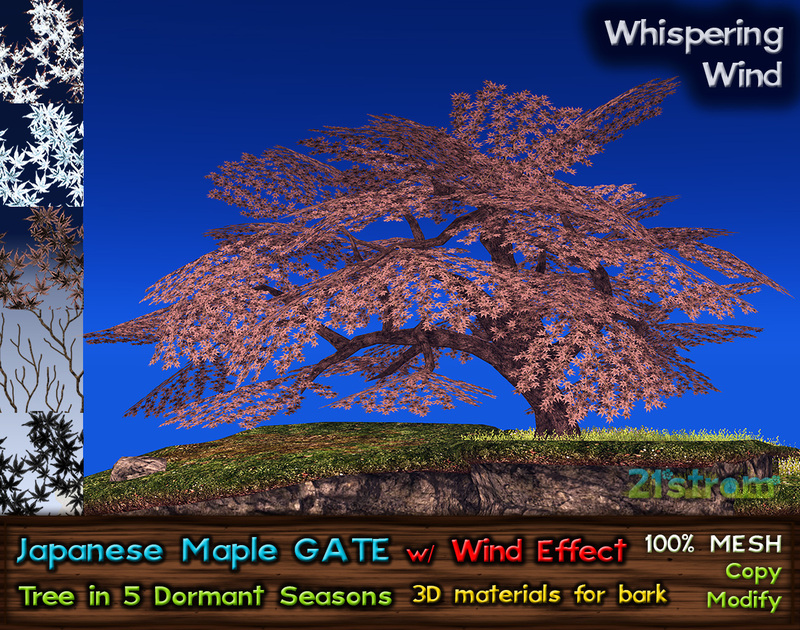 Made with Halloween scarlet oak trees can be additional piece of your autumn landscape this year.